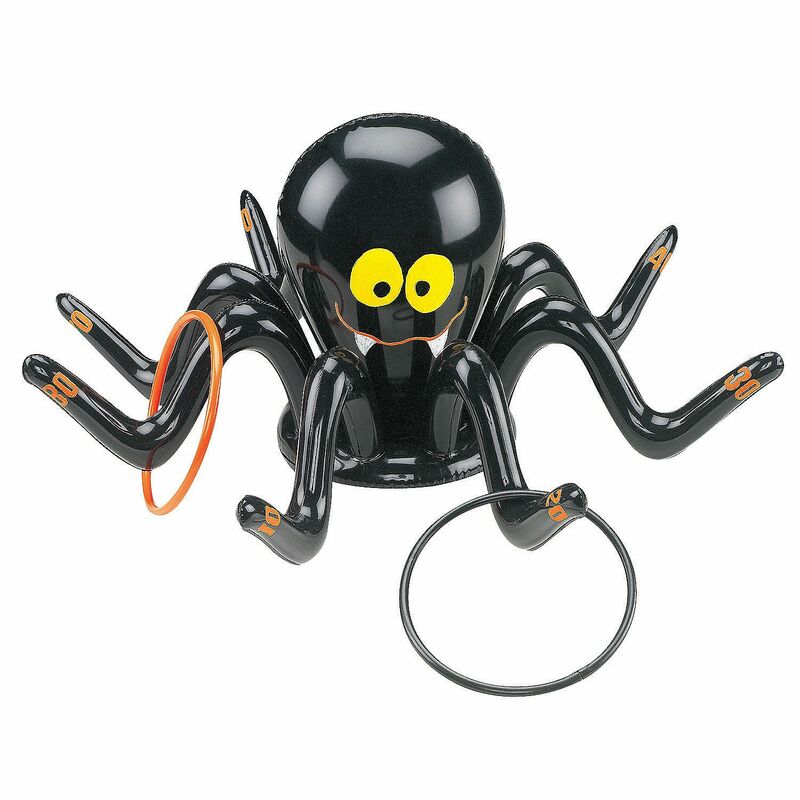 Have a great time in the garden, pool or indoors with this great Inflatable Spider Ring Toss Game! The spider features a cute smiley face with fangs and eight legs that all inflate. Once blown up, the legs curl upwards allowing the player to throw the four included rings on. All our inflatable toys are easily mouth inflated and are made of quality durable rubber to withstand lots of wear and tear. To play the game simply throw the rings on to the spiders' legs trying to get the highest score; the legs are numbers 10-80. A great game for kids parties and halloween themed get-togethers! Spider Ring Toss Game measures 24 Inches wide and 11 Inches tall. From our Balls and Games collection.